I’m not sure what tires me out more being 23 weeks pregnant or having three little ones running around. I feel like I have been dragging myself around lately. My brain is on overdrive, my body can’t keep up and I find it difficult to keep my eyes open if I sit down for more than 2 seconds:) Can anyone out there relate? The other day my 4 year old said “mommy do you want me to brush your hair, it looks really messy? Maybe you should put on a dress, your shirt is not very fashion”. Lol, there you have it, my 4 year old brushed my hair and got me dressed. How incredibly humbling!! Because of my exhausted state, over past few days I have also made a point to have peaceful worship music on in the house, it seems to help lift my Spirit when I feel tired and dry. I have been crying out to the Lord (out loud); asking for help, expressing my heart, and confessing my desperation for Him in this season. Judah asked me yesterday “Mom, is everything ok”? “Yes” I replied, “why?”. He looked at me and said “you ask God for a lot of help.” Well, that is the truth and he is very observant! I am thankful that he sees my desperation and it humbles to continually confess to my 6 year old my need for the Lord. It always amazes me how pride wants to creep in and tell us that we need to be independent, that we shouldn’t ask for help and that fearing man is more important than fearing the Lord. It says that we need to have every together, and it points to our identity as being flawed if we do not have all our ducks in a row. Thankfully over the past few years I have been able to recognize this prideful voice and ignore it when it comes calling. As godly women, wives and mothers we need to remain humble. I have found that positioning myself to remain humble provides fertile ground for seeds of encouragement to be sown. When we are prideful the soil of our heart is hard and it is difficult to plant anything in tough soil. 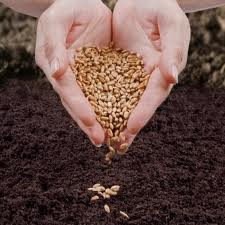 I have watched the Lord sow seeds of encouragement into my heart over the past few weeks as I have felt tired and broken. It reminds me of the kindling that you add to a fire to keep it burning. I see Him adding small words, actions and deeds from others to keep me going. I trust that He knows what I need, if too much kindling is added to a fire too fast, it burns dangerously fast and hot and then dies out and if not enough is added it dies out immediately. It is important to add just the right amount at the right time to sustain a warm enjoyable fire. I beleieve that He does that in our lives too. What areas are you needing encouragement these days? Are you children able to see you in a place of brokeness before the Lord? It is important that our kids see us as human beings, not just supermom’s! They need to know that we have real feelings and real needs just like they do. This keeps us humble and it keeps them considerate. Being real and vulnerable with eachother strengthens our relationships and it promotes, healing, forgiveness and freedom! May you be strengthen and encouraged today as you continue to burn for Him! Posted on May 16, 2013 by Emma	• This entry was posted in Devotional, Family, Motherhood. Bookmark the permalink. Emma you are a wonderful role model for your children. I agree that it is important for them to witness us in our strength and weakness. Children learn through our actions and you are demonstrating amazing techniques for them to pick up on. Continue to push forward through this exhausting time in your life. Take some time to meditate and collect yourself ALONE! You are awesome. Thanks Kayley!! Glad to hear that other mom’s are on the same page, sometimes I feel like a nut;) You are an amazing momma as well! !